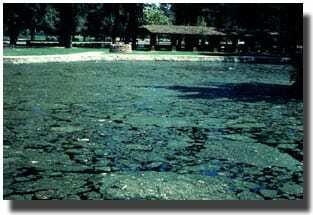 A 3-acre municipal park pond teaming with aquatic wildlife became infested with filamentous algae. 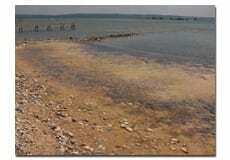 As a result, the oxygen content of the water dropped, killing off fish. Maggots fed off the dead fish and ingested botulism bacteria. 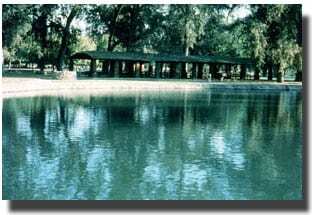 Numerous ducks fed off the dead fish, became infected with botulism and died. 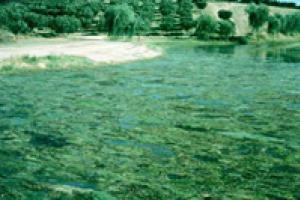 Copper sulfate had been used for many years to kill the unwanted algae. 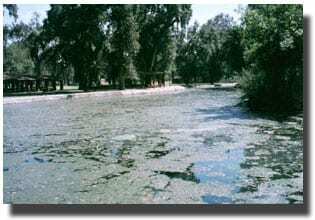 This created a debris layer on the pond bottom and the condition known as eutrophication. 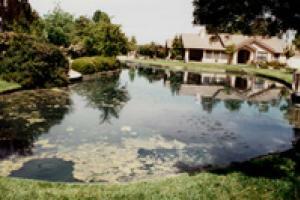 BioWorld Algae Treatment was added to the pond on a weekly basis. 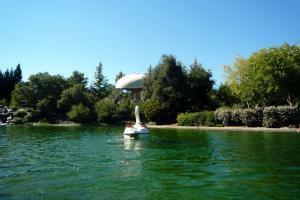 Over time, the algae was eliminated, the debris layer was digested and the water clarity improved. 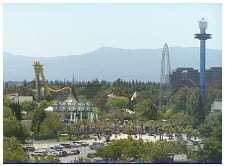 The eutrophication cycle was broken and the wildlife habitat flourished again. 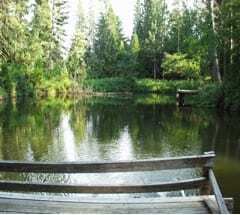 about one third of a 3 acre pond.